Her winning entry in the Graduate Diploma in Law (GDL) category explored software patent reform. 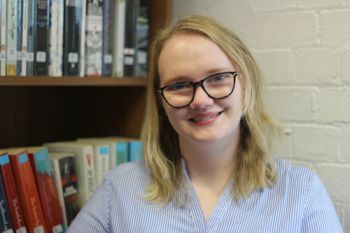 Phoebe Whitlock, a 2016 graduate of the Graduate Diploma in Law (GDL) course in The City Law School, has won First prize in the GDL category of the Bar Council's Law Reform Essay Competition. She submitted the essay, Rivalling Silicon Valley: The case for the reform of Software Patents. Phoebe studied for the GDL qualification following the successful completion of her undergraduate degree in Politics. This year she is studying on the Bar Professional Training Course (BPTC) as a Prince of Wales scholar and an Advocacy scholar. She is also editor of the Gray's Inn Student Law Journal and Student Director of Streetlaw Enterprise.